Looking for ways to pass the time with your children this summer? Here are four inexpensive activities that teach children about earth science, sustainability and art. 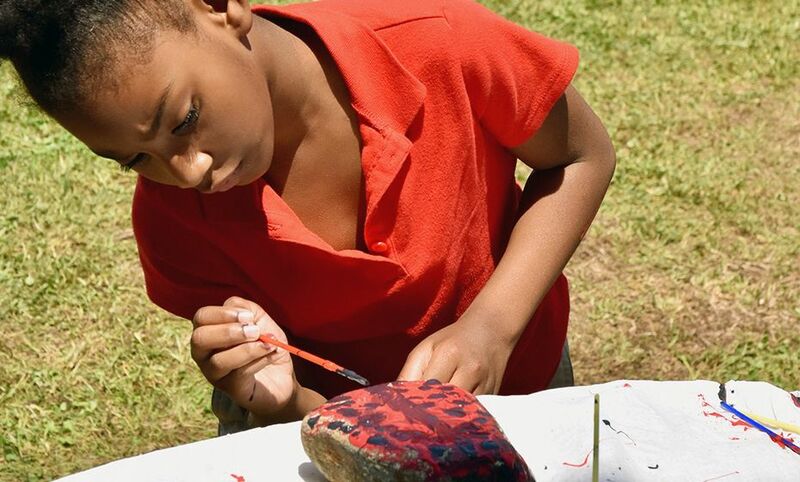 Students at Walter G. Byers School in Charlotte made these ladybug rocks, Chihuly chandeliers, story rocks and bird nesting bundles during a REAL School Gardens event with Duke Energy volunteers in May. REAL School Gardens has collaborated with more than 150 schools across the country to create a place for experiential education. Our feathered friends don’t have a building supply store to visit for their nesting needs. Help them by providing materials to make a nest. Search your yard for a stick and twigs. Look in the house for yarn, dryer lint, small pieces of fabric and ribbon, raffia and scissors. 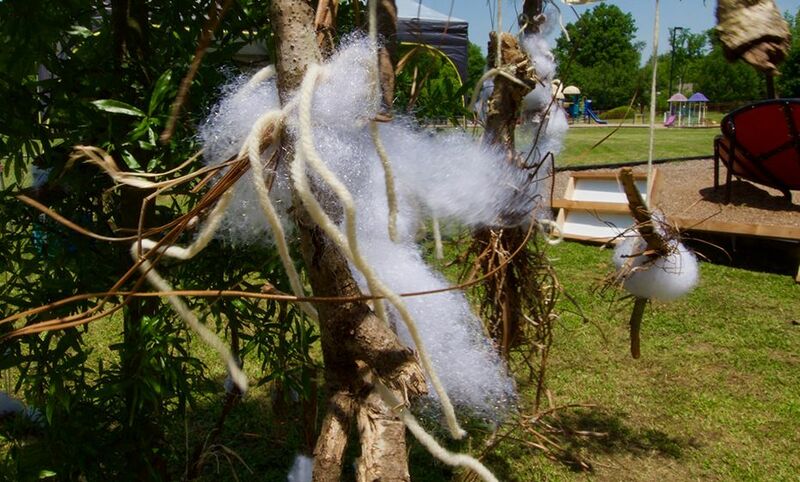 Mix together the lint, raffia, fabric, ribbon, yarn and twigs and then wrap the material around the stick with yarn. Attach a long piece of yarn at the top and hang it all from a tree. Voilá – an instant home store for your birds. Combine art, nature and imagination to make decorative rocks for the garden or as chess or tic-tac-toe pieces. Gather rocks, paint, brushes and rags to get started. Clean your rocks first. Then use your imagination to paint the rocks like ladybugs, flowers, owls or anything you’d like. 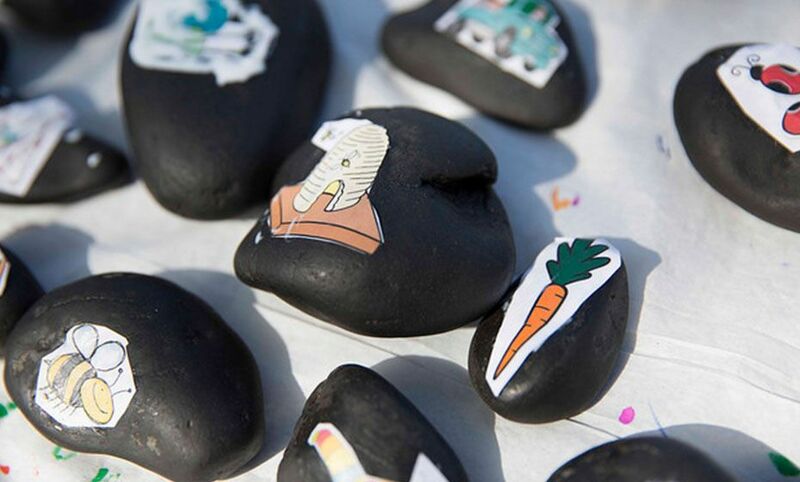 Tell a story with decorated rocks. Once your rocks are complete, make up a story inspired by the pictures on each one. Ask friends to make rocks too. Pass the rocks around and add to the story. Who knows where it might lead? Get your materials together: rocks, paint brushes, decoupage glue such as Mod Podge, wipes, pictures such as photos, drawings and magazine images, and scissors. Clean your rock and then choose a picture to use on the rock. Paint Mod Podge glue on the back of the picture and on the part of the rock where the picture will go. Place the picture on the rock, press the picture down and apply more glue over the picture. After it dries, you’re ready to get started with your story. Learn about American glass artist Dale Chihuly before you start this project. Research how a Chihuly chandelier is made and what inspired the artist to use glass. Then create your own masterpiece with plastic bottles. Grab a few clean plastic bottles, markers, scissors and wire. Let the kids remove the labels from the bottles and color the bottles with markers. Adults can cut the bottoms off the bottles and then spiral cut all the way to the top. Leave the screw top portion attached to the spiral. 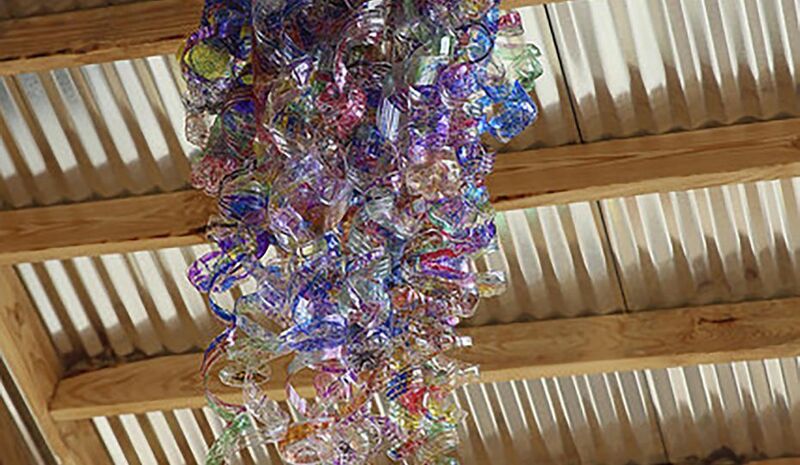 Wire the bottles together and hang in the garden, on the porch or in your home.